Seven researchers and campaigners tell Nature how Britain’s break-up with the EU is affecting research. The incredible is fast becoming the inevitable. Just six months from now, unless a political earthquake intervenes, the United Kingdom must leave the European Union. 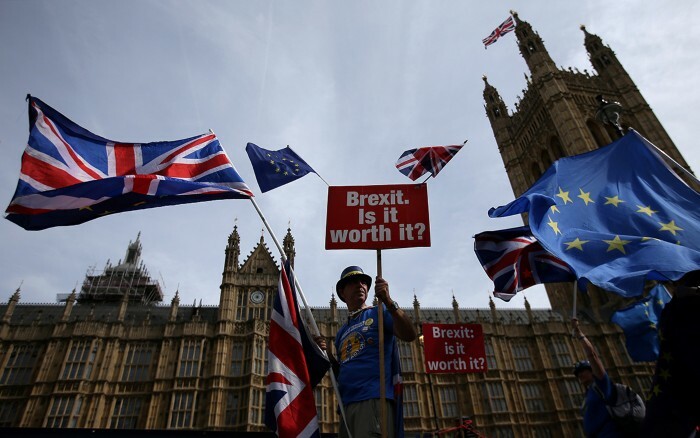 Yet the details of the March 2019 break-up are still muddy, and scientists are growing increasingly anxious — and angry — about how Brexit will alter their research and their lives. The UK government has made plenty of promises to researchers: for instance, it says it is prepared to pay into EU science programmes after Brexit so that British scientists can apply for funding. And it has guaranteed that it will support existing EU research grants up to 2020 that might be jeopardized by the split. (The EU, for its part, has hinted that it would like to open up its next research programme to greater participation for non-EU countries.) 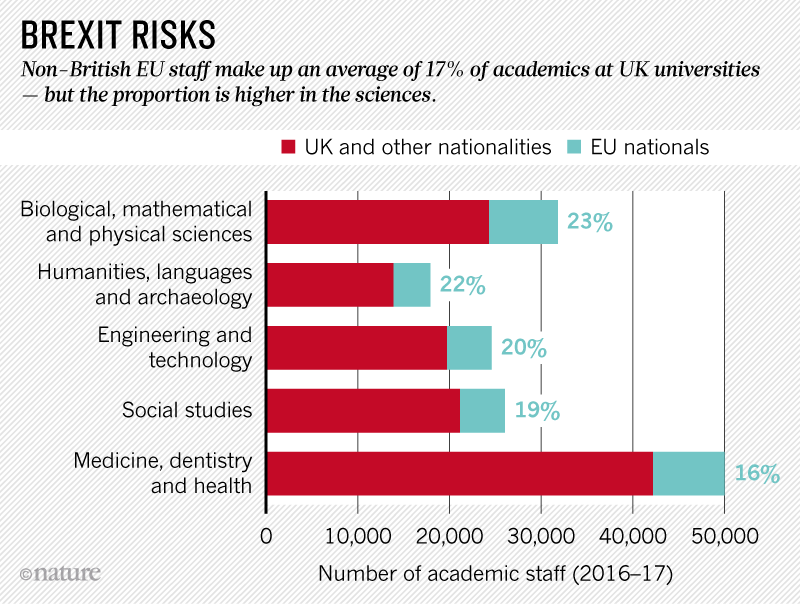 Politicians have also assured non-UK academics from the EU — who make up one-sixth of British university staff (see ‘Brexit risks’) — that they need not fear losing their rights to work or claims to health benefits, although many are hurriedly applying for expensive residency permits to ward off potential disaster. But these promises might mean little if — as seems plausible — Britain and the EU fail to agree on the terms of the departure. 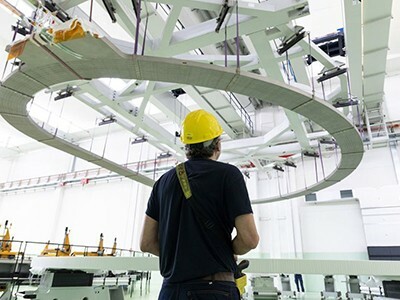 If a no-deal split happens, for instance, British science would instantly lose access to at least three of the major funding streams under the EU’s Horizon 2020 funding programme. These streams alone have provided around €2 billion of the €4.8 billion (US$5.5 billion) that the United Kingdom has won from Horizon 2020 since 2014. And in a no-deal future, imports and exports of essential goods — including food, scientific equipment and medicines — would probably be disrupted. It seems likely that, even if terms are agreed, the free-and-easy flow of researchers between Britain and the EU will stop: last week, an influential committee set up to inform UK migration policy said that European workers should be subject to the same visa rules as other migrants, although Britain might choose to offer preferential treatment as part of trade negotiations. The ‘nothing is agreed until everything is agreed’ nature of Brexit means that uncertainty still reigns. 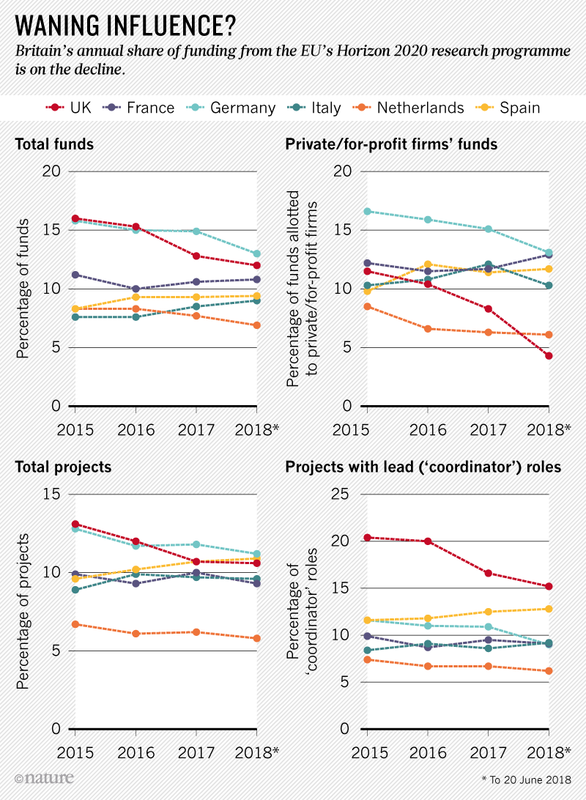 Researchers are trying to prepare, but there are signs that the United Kingdom might already be losing out on EU research funds (see ‘Waning influence?’). Nature presents the views of seven scientists and campaigners on the stakes for science ahead of the Brexit crunch — including one who is fighting for a second vote to stop it all. Edith Heard was devastated when she heard news of the Brexit referendum while at her home in France. “I didn’t sleep that night,” says the British scientist, who has lived across the channel since 1990. Heard directs the genetics and developmental biology department at the Curie Institute in Paris and is a fellow of London’s Royal Society, but she was not allowed to vote on the Brexit measure because she had lived abroad for more than 15 years. Now, like many other UK scientists on the continent who are unsure of their future, she is taking on dual nationality. She is applying for French citizenship. “The British scientists I talk to here have all either taken on European nationalities or are thinking of doing it if they can — because no one really knows what the consequences of Brexit will be,” she says. Brexit has already influenced Heard’s scientific life. 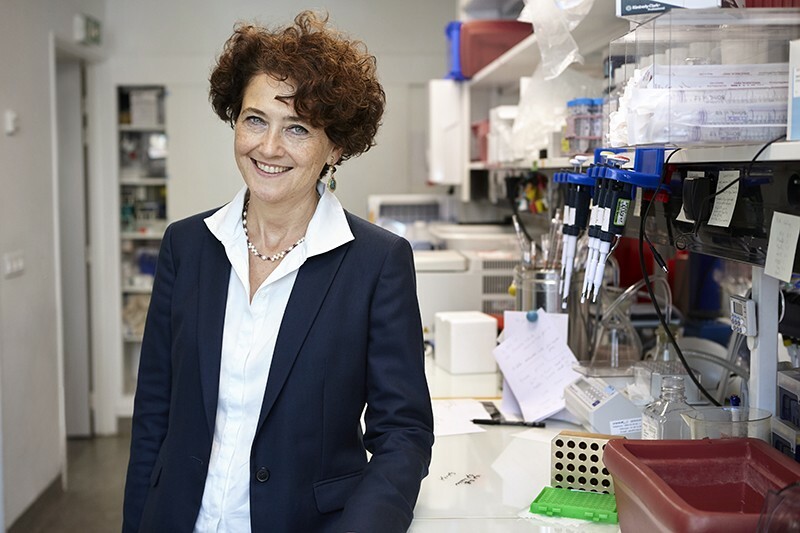 After the vote, she was approached to apply to be the next director of the European Molecular Biology Laboratory (EMBL) — a pan-European organization with six sites across the continent, including the European Bioinformatics Institute in Hinxton, UK. “I was so angry and distraught about what Brexit meant for European science that I saw it as my duty to do the job,” she says. Heard will start as director next January, moving her laboratory — and family — to an EMBL site in Heidelberg, Germany. The United Kingdom’s membership of EMBL will not change after Brexit because it was agreed independently of the EU. Heard sees EMBL’s Hinxton site as “a little island of Europe within the UK”, and a chance to build bridges if Brexit happens. Muscella’s software-services and marketing firm Trust-IT Services, in Enfield, UK, has won more than £15 million (US$19.7 million) from EU research funders over the past decade. It helps to coordinate projects such as the European Open Science Cloud, a repository that provides access to publicly funded data and research. But after the Brexit vote, Muscella largely gave up bidding for EU research money through the firm. Instead, she has switched to applying through a small company in Pisa, Italy, called COMMpla, which she set up in 2010 to serve commercial clients there. She is using the Italian company because potential collaborators told her that although they wanted Trust-IT on their projects, they would prefer a European firm because of uncertainty about the status of future British participation. In 1991, Cesare Terracciano, a freshly graduated cardiologist from Rome, won a European fellowship to study heart disease. He grabbed his Italian passport and moved to the United Kingdom, renowned for its excellence and scientific collaborations. 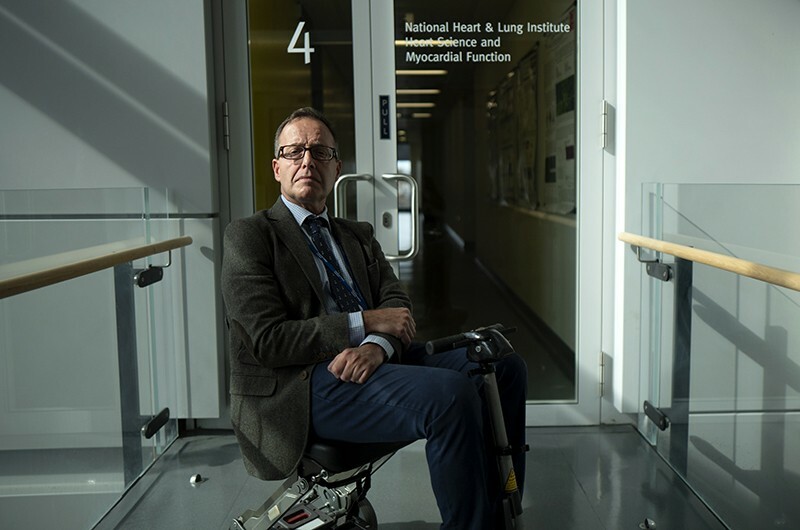 Today, he is a principal investigator at one of the world’s leading research centres looking at how to repair damaged hearts, the British Heart Foundation’s Cardiovascular Regenerative Centre in London. But since the 2016 vote for Brexit, the centre has struggled to attract the best talent. Put off by uncertainty about their future in Britain, Cesare says, up-and-coming European cardiologists might not now make the same decision that he did. Terracciano’s lab is strongly reliant on overseas talent: of 13 staff members (including himself), 10 are non-UK Europeans. But in December 2016 and December 2017, two European postdocs whom Terracciano tried to recruit said they weren’t coming. “They changed their minds because they didn’t like the uncertainty of whether they can stay in the United Kingdom to develop their career,” he says. “They told me: if there was no Brexit, we would definitely join your lab, but now we don’t want to do that.” He did find other candidates, one from Greece and one from Britain. Terracciano is well funded from UK sources, so he is unlikely to face immediate financial consequences. Nor does he want to leave the United Kingdom: his wife and three children are British. But his life has been affected in other ways — he has a speech impairment, and the specialized therapist he has worked with for years has decided to move back to Ireland because of Brexit. Terracciano’s current team is extremely worried, too. “Our staff are very nervous about Brexit, because they do not know what is going to happen to them. We know nothing and we cannot give them reassurances,” he says. Statistician Fabrizio Leisen has already left one country where politics damaged science. Now he’s wondering whether to move again. In 2013, Leisen, originally from Luxembourg, gave up a research post in Spain after the government imposed severe austerity cuts to public funding following the financial crisis. “We had to forgo our salaries for one month,” Leisen says. He came to the United Kingdom, where public spending on science has been relatively protected. But Brexit could now change that, both because it might dent the United Kingdom’s economy and because universities could lose access to European Union funding. That particularly concerns Leisen, who has benefited from a Marie Curie career integration grant while in Britain, and who now hopes to win money from the European Research Council (ERC), the EU’s most prestigious grants-awarding body, for the next stage of his career. “It is very important for me to have EU funding,” he says. Leisen works at the University of Kent in Canterbury, which styles itself “the UK’s European University” — 24% of its staff are from mainland Europe — and it has offered to lend its eligible EU academics the money to apply for residency or citizenship. But paying back that loan will be no small undertaking, Leisen says. For the moment, at least, UK applicants aren’t being disregarded when applying for Marie Curie and other schemes, emphasizes Leisen, who is a reviewer for integration grants. “As a panel member, we have strict instructions that the UK is an EU member and all applicants must be treated as such,” he says. Brexit has injected a large dose of uncertainty into the lives of European researchers working in Britain. 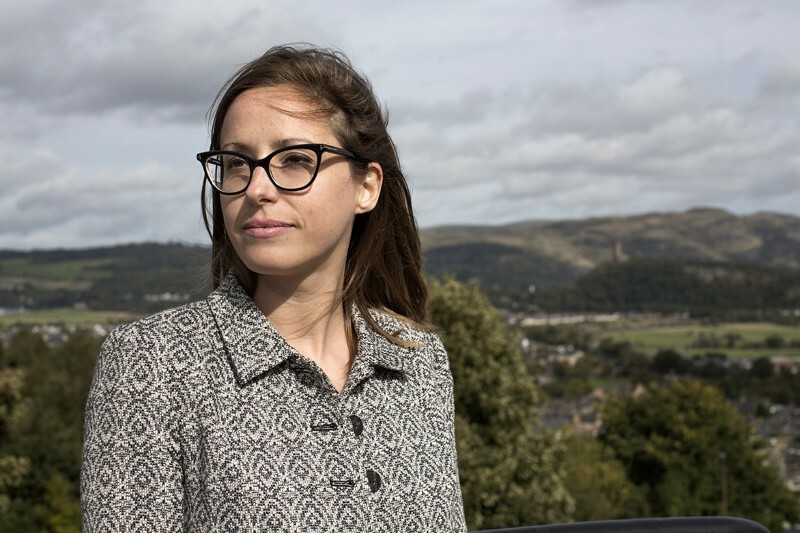 But archaeologist Chiara Bonacchi, at the University of Stirling, UK, is clear about her future. “I have no intention of leaving,” she says emphatically. Bonacchi, an Italian citizen who obtained British residency in June and is now applying for citizenship, says she knows of academics who have been lured away from other UK universities, following the Brexit vote, to professorships in Germany and Austria. But for her, the benefits of staying outweigh future risks. “I chose the UK because it gave me the opportunity to develop as an independent researcher,” she says. By contrast, she says, academics in Italy have “very little space to grow” — with fewer opportunities to build their own teams and frame their own research questions until later in their careers. Bonacchi has even found a way to meld Brexit with her studies of how materials and cultural ideas derived from Britain’s Iron Age and Roman past are drawn on today. Together with colleagues at University College London, she searched Facebook posts on Brexit for keywords relating to this historical period. “Roman” — as in the Roman empire — was one of the most commonly used of such terms, she says, found in more than 2,500 posts and comments (C. Bonacchi et al. J. Soc. Archaeol. 18, 174–192; 2018). Some Facebook posters who wanted Britain to remain in the European Union invoked the Roman empire as an early example of a civilizing power that brought benefits to Britain. But others, who backed Brexit, emphasized British resistance to Roman violence and oppression, and they characterized the Roman empire as a dictatorship. These viewpoints match with wider discussions about whether people perceive Roman Britain as the origin of European civilization or as an enemy occupation — and illustrate how perceptions of Britain’s past are still colouring its politics and society today. “I want to understand how the ways in which people perceive the past shape their political views and the kind of future they want to build,” says Bonacchi. Beatriz Mingo Fernandez began her fight against Brexit on morning after the United Kingdom voted to leave the European Union. She joined a group representing Spanish people in the country, and marched against a ‘hard’ Brexit to avoid severing scientific ties with EU institutions. And, last February, she and dozens of other Europeans met with members of parliament to rally support for the rights of EU workers living in the United Kingdom. “We were really hoping at the time that there would be change,” says Mingo, an astrophysicist with the Open University in Bristol. Government reassurances that EU citizens will retain their rights to live and work in the United Kingdom after Brexit have been only marginally helpful. Mingo received UK permanent-residency status in June, but she is now focusing on making herself desirable to potential employers abroad. Ever since the Brexit vote, the campaign group Scientists for EU has been fighting for politicians to take scientists’ interests into account (Nature 543, 600–601; 2017). But with six months to go until Britain legally splits with the EU, there is still no clarity about what will happen next. 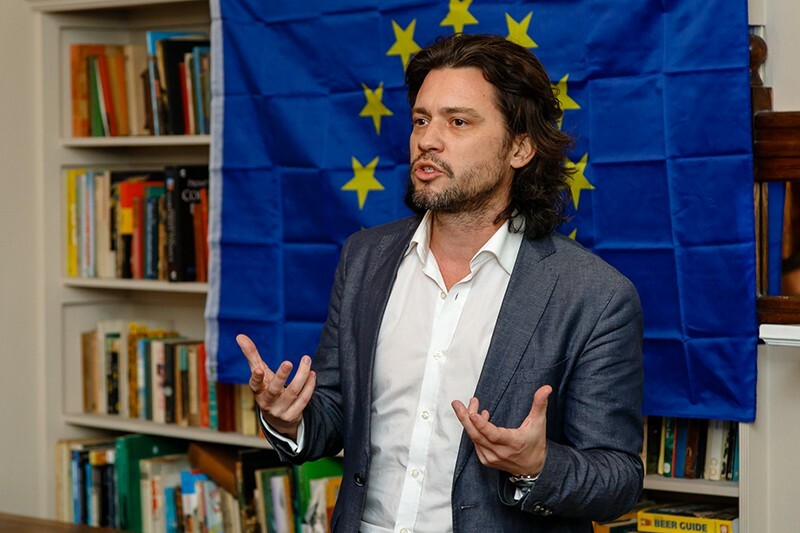 Now, says Mike Galsworthy, a former research-policy analyst who co-founded the group, the campaign has changed direction — to try to stop Brexit happening at all. This year, Scientists for EU, which is already influential among anti-Brexit campaigners, has joined forces with a national movement called People’s Vote, which advocates a second referendum on Britain’s EU membership. The movement also has the backing of a group called Healthier in the EU (in the process of being renamed NHS Against Brexit). This group was co-founded by Scientists for EU and represents the interests of EU nationals working in Britain’s National Health Service. The campaign shifted its focus, says Galsworthy, because he thinks too little time remains to negotiate what he terms a “sensible” Brexit: a phased withdrawal of the United Kingdom from EU institutions over several years, rather than the instant break that politicians seem to be heading for. “We will either crash out, or ditch Brexit. The middle ground is eroding fast,” he says. Scientists for EU now has 150 groups of affiliated local volunteers across Britain who are knocking on doors to persuade people to back a second vote, Galsworthy says. And he thinks that if such a referendum happens, the result is likely to swing against Brexit: opinion polls now consistently favour Britain remaining in the EU, he points out. “If a majority of the public decided they would rather cancel Brexit, they fully have the right to do so,” he says. Correction 05 October 2018: An earlier version of this feature affiliated Beatriz Mingo Fernandez with the Open University in Bristol. She is, in fact, based in Milton Keynes, UK.